​Raincache is living up to its outstanding positive reputation because we provide truly exceptional and standard services which includes Rain Gutter, Roof water collector Installation, Cleaning, Repairs among others. Rain gutters are investment that’s closely tied to your home, shielding your home from expensive damages and professional installation is a key piece of making that investment pay off. We are proud to say that our expert installations have resulted in over 1,000 satisfied customers over the past 5+ years. Our outstanding and professional experience, gives us the ability to ensure that the job is done right. From houses with simple design to the ones with complex architecture, we know how to take on any job and achieve the high level of quality with touch of perfection. Just like any investment you make for your home or business, it’s important to maintain your rain gutters on a regular basis. Leaves from nearby trees, dust from heavy winds and standing water in the gutter can all cause major issues for gutter system. If not addressed, can cause clogging where the rainwater will have no choice but to build up, and add weight to the gutters and eventually start to overflow. 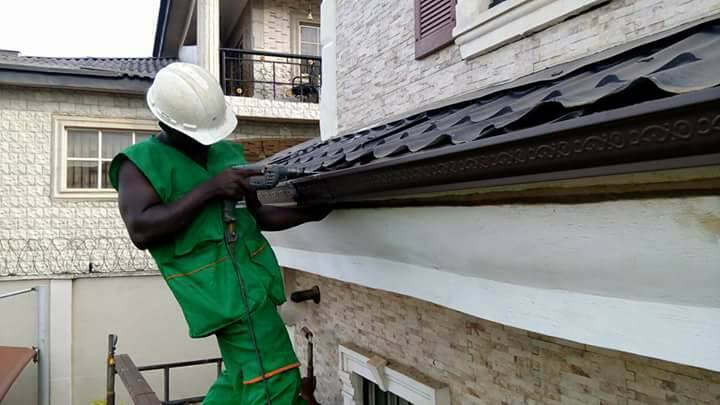 This can make a gutter break loose from its connection to the roof which can cause expensive and irreversible damages. providing all necessary information and recommendations. Call today and we will be right there to get your gutters back functioning like they should!